Residents who want to bury loved ones in an environmentally sensitive way in Ashland no longer have to place the casket or shroud inside a concrete or metal liner or vault. The Ashland City Council voted on Tuesday to allow such "green" burials in city cemeteries. Previously, the Ashland Municipal Code required the use of liners or vaults to prevent settling of the ground at the grave site. City staff members who manage city cemeteries said they expect some settling to occur with green burials, but that the problem isn't anything they can't handle. The city of Ashland made the change because it has been receiving requests from residents that green burials be allowed, said Ashland Public Works Director Mike Faught. Natural crossing :: Good :: New Zealand’s guide to sustainable living. When Steve Hill woke up in the early hours of the morning, his wife Helen was dead. He had been expecting something to happen that night. After four-and-a-half years fighting breast cancer, Helen’s strength had gone. She had pulled her oxygen tube out earlier in the evening, just before Steve got into bed beside her, and she’d asked him not to put it in again. Their two young sons were asleep in the large Balmoral house. Steve woke Kane (six) and Nico (four) and brought them in to see their mum. They went straight to her, held her and cried. Over the next three days, as family and friends came and went, Helen remained in her bed. Her sisters chose her clothes and helped put ice packs around her body to prevent it deteriorating. A friend from the cosmetics company MAC, which Helen had launched in New Zealand, did her makeup; another friend styled her hair. Steve slept next to her every night. Kane and Nico came in whenever they wanted to have a cuddle and talk to Mum. 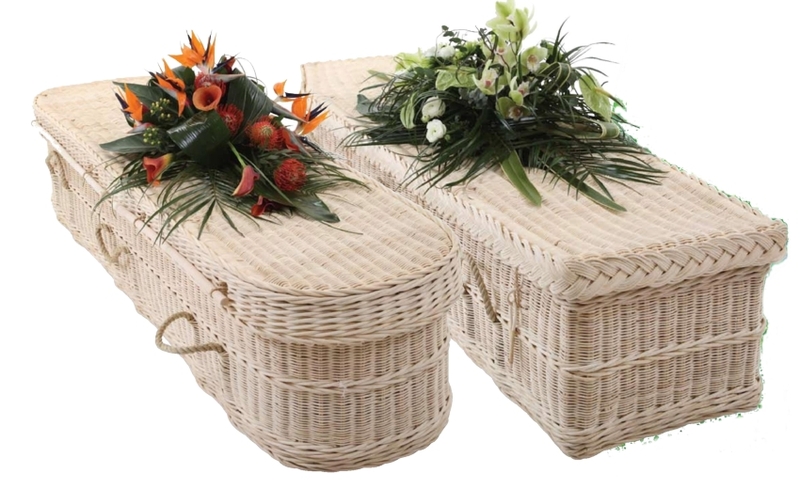 When the wicker coffin that Helen had chosen arrived, they placed it in the bedroom and the boys jumped up and down inside it. Helen was rarely alone. The house was full of people and activity. One of Helen’s sisters helped Steve carve messages into the flax that would be placed on top of her casket. Someone else arranged for a flock of doves to be released at the funeral. 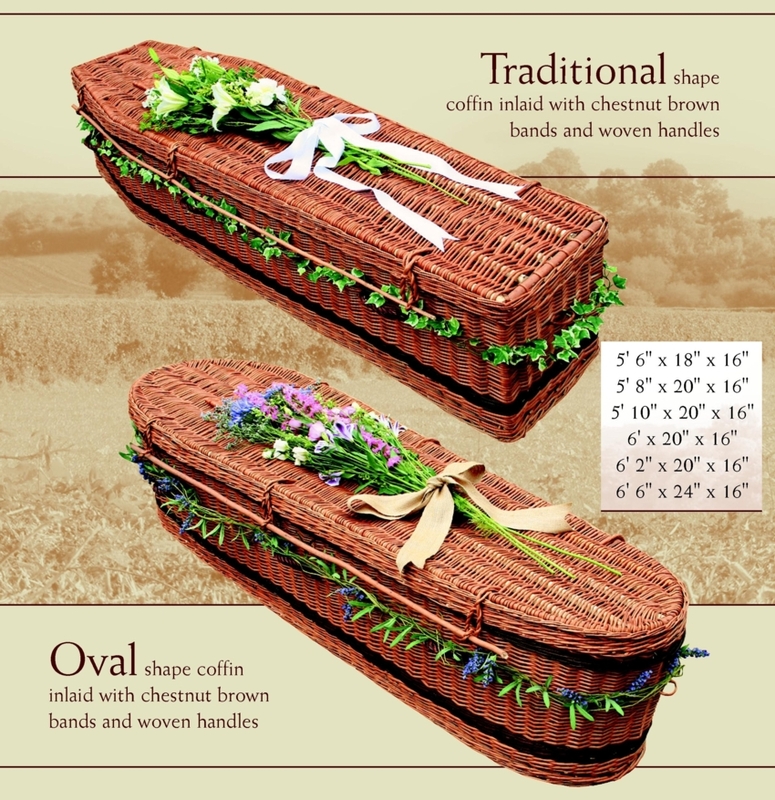 Coffins are traditionally made of MDF or unsustainable hardwoods, lined with synthetic materials, and are carried using plastic handles. Some of these materials will never break down, while others take many years and leave behind all the toxins that went into their manufacture. Bodies are embalmed with a cocktail of chemicals, including formaldehyde. When bodies are buried, this known carcinogen can leach into the surrounding soil, polluting both it and the water table. Despite this, the funeral industry buries 1.5 million litres of formaldehyde every year. Graves moved in Northeast cemetery to make way for parking lot | Philadelphia Inquirer | 12/07/2009. Once an estate owned by Declaration of Independence signer Benjamin Rush, the Knights of Pythias Greenwood Cemetery was chartered in 1869 as an inviting burial park with rolling hills and tree-lined paths. Scores of veterans of the Civil War and Spanish American War are interred at the 44-acre burial ground in the Northeast. Perhaps its most famous residents are W.C. Fields' parents, James and Kate Dukenfield. Now, on six muddy acres, archaeologists are digging up the remains of thousands of people. Since July, more than 1,500 bodies have been disinterred to make way for the Cancer Treatment Center of America's need for 200 parking spots. 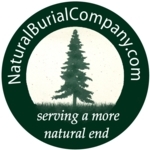 Natural burial grounds offer eco-friendly end-of-life alternative» Knoxville News Sentinel. 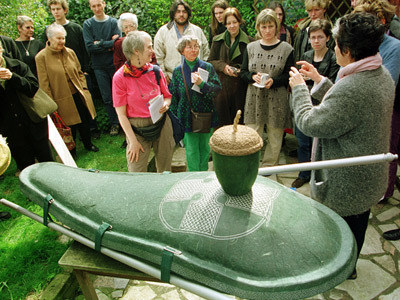 When Marie Alcorn first mentioned the idea of having a green burial when she dies, her family had a hard time taking her seriously. "I've been thrifty all my life. My family is used to my 'thinking outside the box' when it comes to ways to cut costs," says Alcorn, who lives in downtown Knoxville. Her family teased her about the idea, but for Alcorn, the joke soon became serious. "The more I looked at it, I realized that it would be a good option. The whole focus is on being good stewards of the Earth," says Alcorn. "Now I'm seriously thinking about this alternative, although my children are having a hard time talking about anything relating to my death." Carlamuses: How to Piss Off the Fatally Ill.
Environmentalism Goes Beyond the Grave - The Daily Californian. Berkeley residents are known for being environmentally conscious, and last weekend, they had the opportunity to learn how to continue this passion while six feet under. With a display of banana-leaf caskets and urns made of pumpkin gourds, a funeral fair held at Berkeley's Grace North Church hoped to educate people on eco-friendly burial options. According to Liz O'Connell-Gates, one of the organizers of the event, the funeral fair was meant to show people that it is still possible to be environmentally conscious even in death. Auspicious Jots: Funeral Directors Congregate - Boston Runs Low on Whiskey. My apologies to the fine people of Boston, Massachusetts. I have spent my fifth work related trip there but have failed to see the sights or have a decent meal yet again. Somebody could make a fortune directing business travelers to a real restaurant, but that is a rant for another day. Let's talk death, my friends! I went to another Funeral Convention. This was my fourth national convention and my worst fears have come true. A person CAN get used to walking into a convention center to the sight of acres of caskets, hearses, and urns. For the first time I did not get that jolting urge to run or laugh too loudly out of nervousness upon entering the convention center. Bummer. Wal-Mart Selling Caskets, Urns Online - Local News | News Articles | National News | US News - FOXNews.com. MILWAUKEE — The world's largest retailer wants to keep its customers even after they die. Wal-Mart has started selling caskets on its Web site at prices that undercut many funeral homes, long the major seller of caskets. The move follows a similar one by discount rival Costco, which also sells caskets on its site. Wal-Mart quietly put up about 15 caskets and dozens of urns on its Web site last week. Prices range from $999 for models like "Dad Remembered" and "Mom Remembered" steel caskets to the mid-level $1,699 "Executive Privilege." All are less than $2,000, except for the Sienna Bronze Casket, which sells for $3,199. Caskets ship within 48 hours. Federal law requires funeral homes to accept third-party caskets. Returns are not accepted, the company says on its site, unless the product has been damaged during shipping. 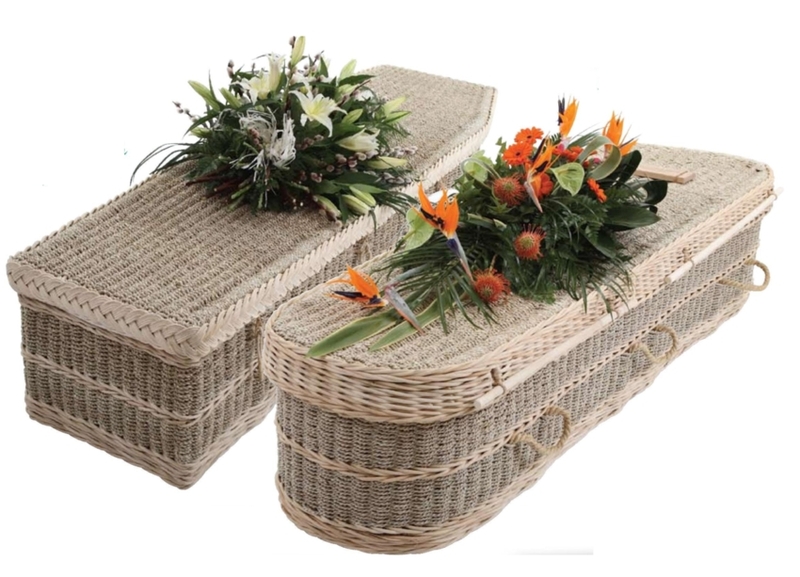 The caskets come from Star Legacy Funeral Network, Inc., a company based in McHenry, Illinois, that sells the same caskets for about the same price — some less — on its site, along with many others.